Are you traveling to Sweden, and wonder what there is to do in Sweden? 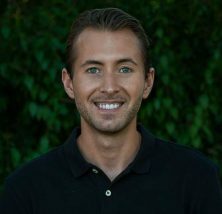 No worries, as you might already know I’m Swedish, and in this article, I will share 55 Unique things to do in Sweden as a tourist. And what better way is there than to follow the tips of a local Swede? Perhaps our most famous celebration, and one of our most unique traditions. 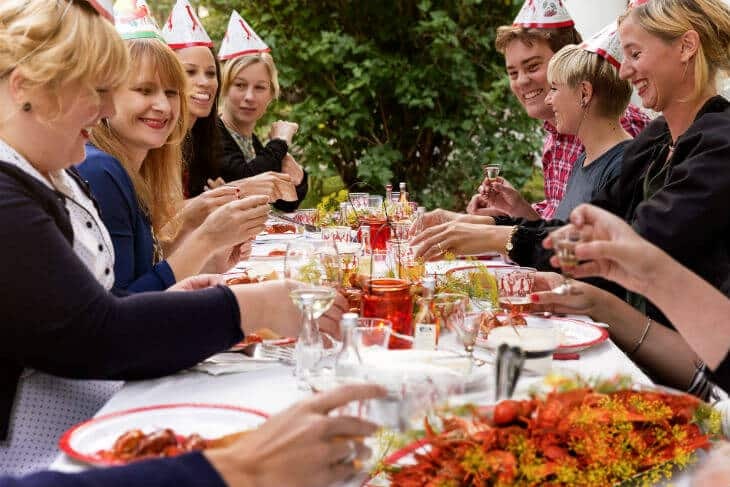 If you visit Sweden in June, you might be able to attend a midsummer party. To explain it a little more in-depth I suggest you to look at the video below. Do you believe in ghosts? After a ghost walk in Stockholm, you might. There are many rumors about ghosts and spirits in the Old town of Stockholm. One part of the legend claims that the Old Town is haunted by the horrible happenings during the Stockholm Bloodbath. A huge amusement park in Gothenburg, and one of the most popular things to do in Sweden, at least for children. 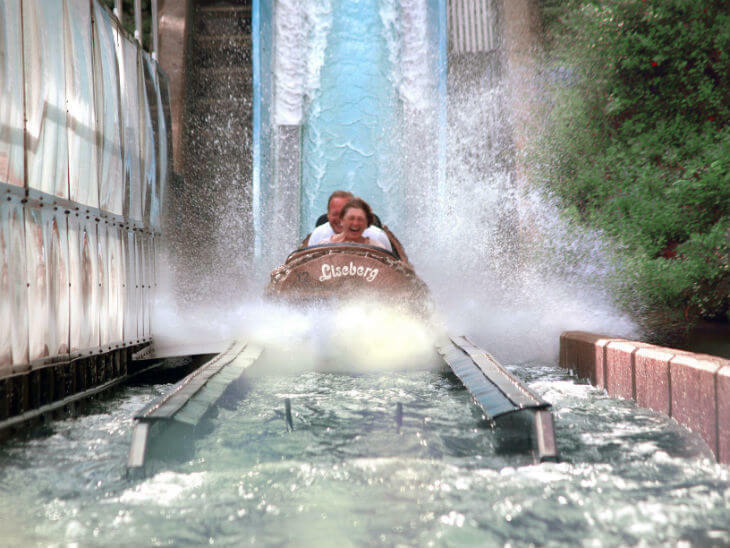 At Liseberg, you can enjoy rides for both small and adults, and in general. You’ll have a great day for the whole family. Another famous festivity. This time we put on silly hats, sing silly songs, and eat a lot of crayfish and drink a lot of schnapps. We also decorate our homes with various pieces. Sweden is a famous nation when it comes to music. With international artists such as ABBA, Zara Larsson, Swedish House Mafia, Robyn, Avicii and many others! As you might guess, we love music, and therefore we also have lots of music festivals during summer! Some of the most notable ones are Summerburst, Swedish Rock, Bråvalla, and Way out West. Much like Liseberg, Gröna Lund is an amusement park, but it’s located in the Capital. Here you can also see performances and concerts during summer. It’s a bit smaller than Liseberg, but it’s one of the most popular things to do in Stockholm with children. Enjoy hiking? Then you should take a closer look at the Höga Kusten trail, where you can experience some real scenic views! 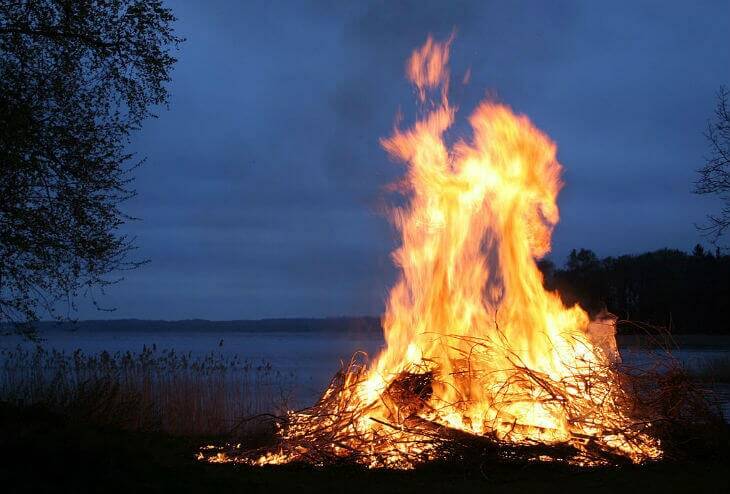 Another traditional festivity in Sweden, which is celebrated on the last day of April each year. Basically, we are lighting up a huge bonfire and dance around it and socialize. Every year there is a medieval week on the island of Gotland. It’s a real mecca for people who love the medieval heritage and history, and you get the chance to live out your fantasies, with “real” battles and tournaments as well as old markets and such. 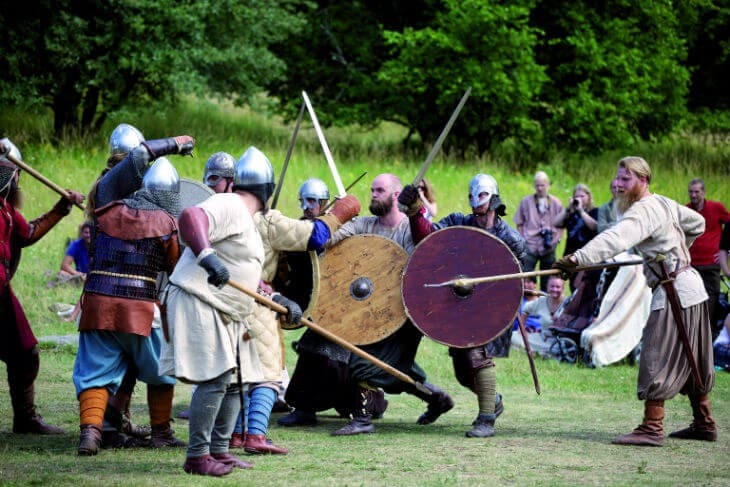 Definitely one of the fun things to do in Sweden if you have an interest in the medieval era. Sill, köttbullar, kalops, smörgåsbord, renskav, toast Skagen, and raggmunk are some of the unique Swedish food dishes, but there are much more, and some dishes are seasonal as well. 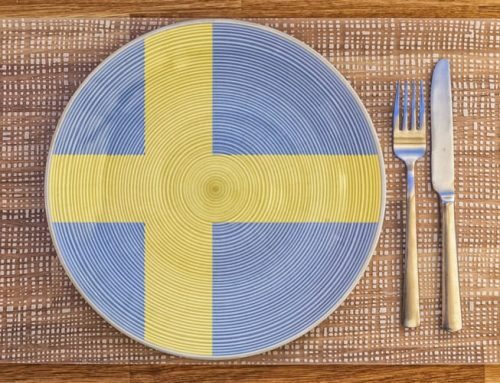 However, one shouldn’t miss out on trying the Swedish cuisine as it will likely be something that you haven’t experienced before. Swedish restaurants are of a very high standard in general as well. Want to know what to do in Sweden during Summer? Here are 10 of my favorite activities! Whenever the sun comes out during summer, Swedes will hurry to the beach to soak up the sun. 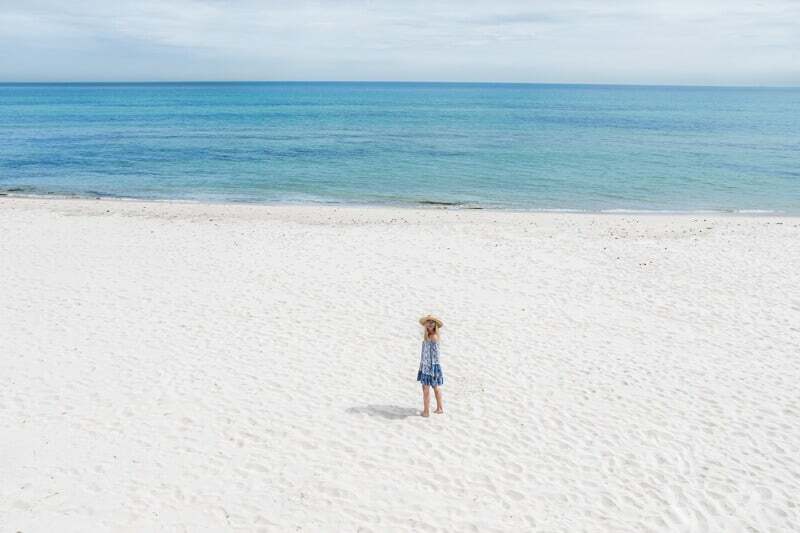 If you want a good spot on the popular beaches, you need to go early. But, you should, because the Swedish beaches are absolutely lovely, especially in the South with the finest sand! One of the most popular things to do in Southern Sweden is to bicycle around the small island of Hven. 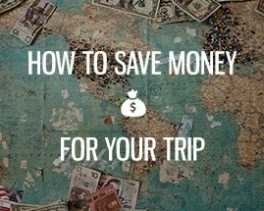 It’s a fun activity, no matter if you travel as a couple or family. In the small picturesque city of Ystad, you can enjoy one of the finest spa hotels in Sweden, namely “Ystad’s Saltsjöbad.” Besides having a really gorgeous sea-view, the treatments are absolutely amazing as well. 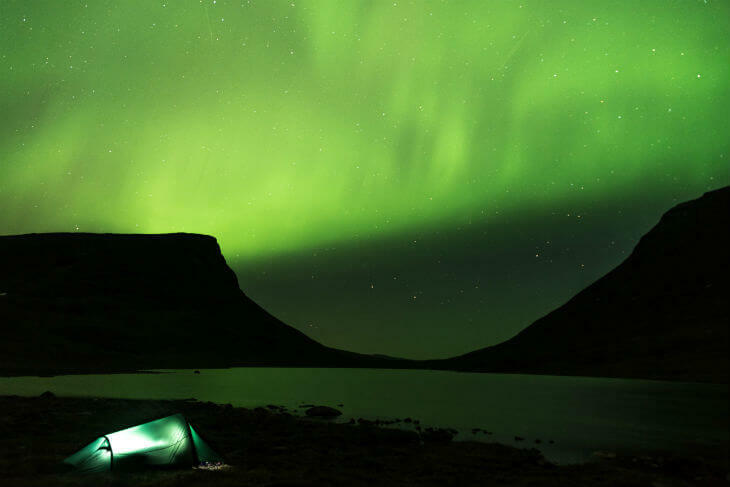 The midnight sun is a true spectacle that everyone should experience! If you’re not familiar with it or know what it is, it’s literally the sun during midnight. In the northern part of Sweden, the sun never sets during summer, meaning you can enjoy 24 hours of light. To catch the midnight sun is one of the coolest things to do in Sweden during summer! Traveling to Sweden with children? Then you should definitely write down Astrid Lindgren’s World on your list of things to do in Sweden. Remember Pippi Longstocking, Ronia the robber’s daughter, Mio min Mio, Karlsson on the roof and the Brothers Lionheart? Here you can meet the characters and let your kids play in the imaginary world that has been built here with scenes from the movies. Swedish nature is beautiful, and there are many hiking trails around the country. Just pick one close to you, and you’ll get a nice hiking experience with scenic views. Bring some snacks on your day trip and have a picnic with your family. Do you like castles and history? There’s an abundance of old castles in Sweden, especially in the Southern part of the country. 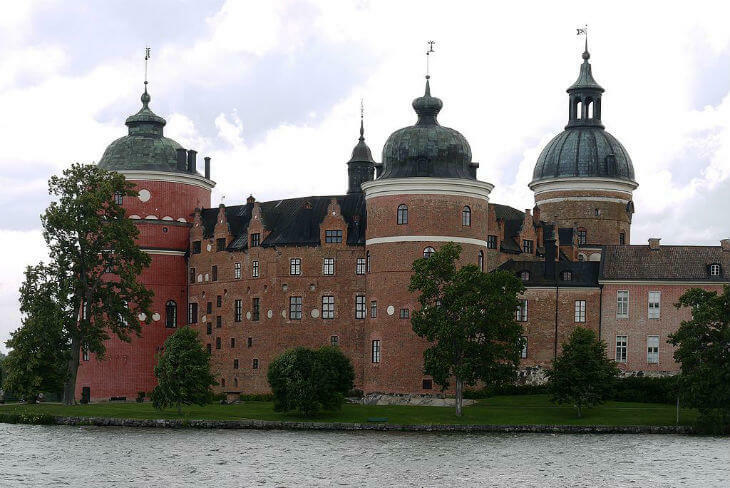 Some of the most notable castles are Drottningholm, Gripsholms Castle, Kalmar Castle and Läckö Castle. Have you ever plucked wild blueberries or strawberries? Well, probably not, but in Sweden, you can do it! 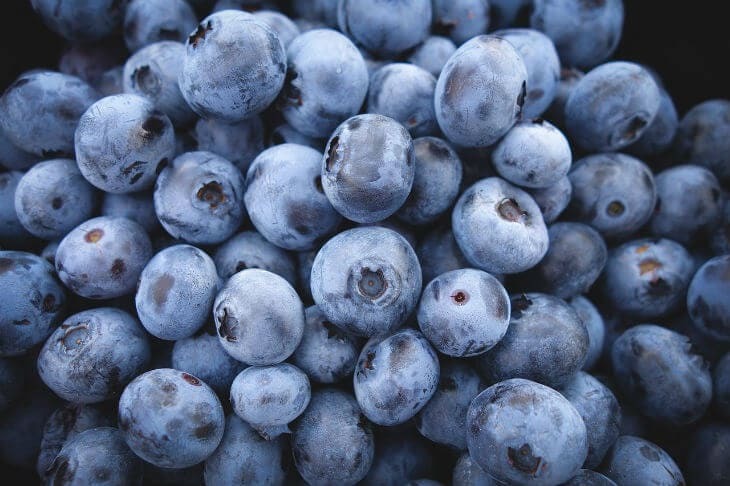 During summer there are almost endless amounts of blueberries and strawberries to pick, either in the forests or large strawberry plantations in Skåne. Definitely one of the fun things to do in Sweden! A popular thing to do in Sweden among locals is to go out by their boat and just relax. As a tourist, you might not be able to bring your own boat, but if you want to spend a nice summer day at sea, it’s possible to rent your own boat! The red cottages of Sweden are a part of our identity and culture. It’s a symbol for the peaceful Sweden and its beautiful nature. Whenever I see a red cottage in the woods, I feel like I’m home, and it brings a lot of childhood memories. And if you’re visiting Sweden during summer, especially with children or your loved one, it’s perfect to stay in a red cottage. It might not be luxurious, but it would be memorable, romantic and fun! Besides, you’ll also have the beautiful Mother Earth right next to you! Want to know what to do in Sweden during winter? Here are 10 of my favorite activities! If you’re looking for a magical experience that you will never forget, this is it. Abisko is a small town in Northern Sweden, that is famous for its Northern Lights. While there’s never a 100% chance to see the magical lights, there’s a good chance of doing it in Abisko. Ice-hockey is regarded as the national sport of Sweden along with Football. And in winter time there is no football, but plenty of ice-hockey games. Almost every larger city in Sweden has their own Ice-hockey team, but the most famous ones are perhaps Leksand, Frölunda, AIK, HV-71, Färjestad and Malmö Redhawks. 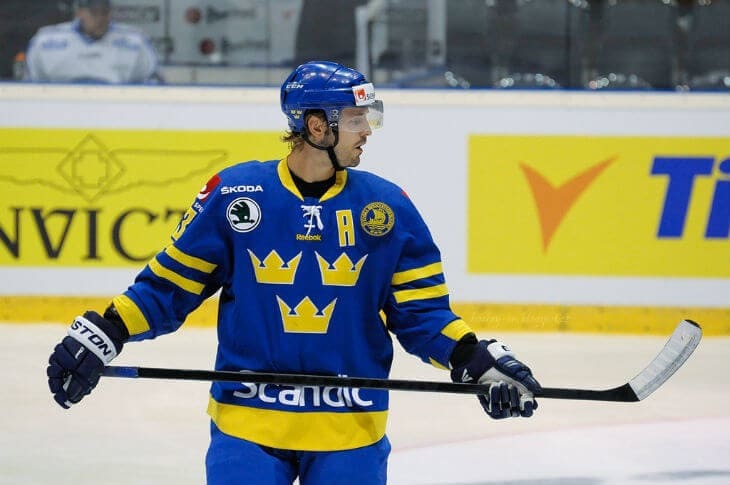 It might not be the NHL but Sweden’s Hockey League is highly regarded, and many of the most successful hockey players are from Sweden originally. Some of the most famous ones include Peter Forsberg, Nicklas Lidström, Mats Sundin, Tommi Salo, Sedin Brothers and of course the one and only Henrik Lundqvist, the famous Rangers goalie. During spring the beautiful King’s Garden in central Stockholm is turned into a pink heaven with cherry blossom. But during winter it’s turned into a romantic and lovely place to go for ice skating. Each winter a rink is set up with plenty of space for ice skaters. Don’t worry about bringing your skates to Sweden; you can rent some for as little as 4 Euro. Perhaps one of the most popular things to do in Northern Sweden, where there is more snow and for a longer period. 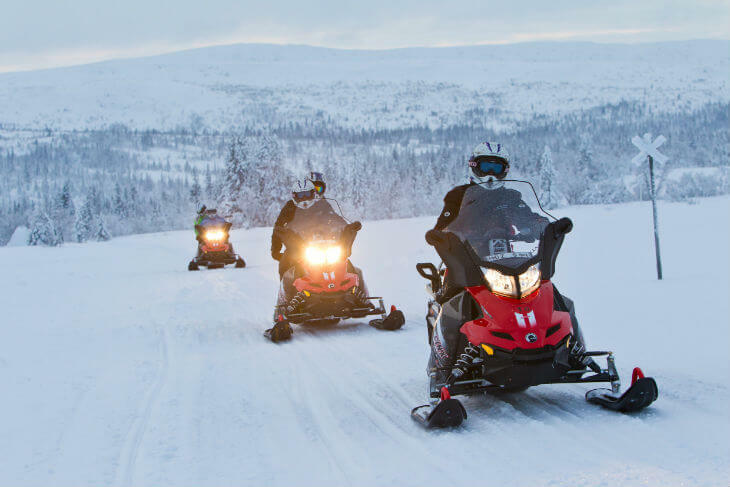 The snowmobile is a great way of transportation, but it’s also a lot of fun and definitely one of the unique things to do in Sweden as a tourist! While we might not have the Alps or the Rocky Mountains, we do have some great ski slopes in Sweden. The most popular place to go skiing is Åre, where you can also enjoy some great after ski parties. 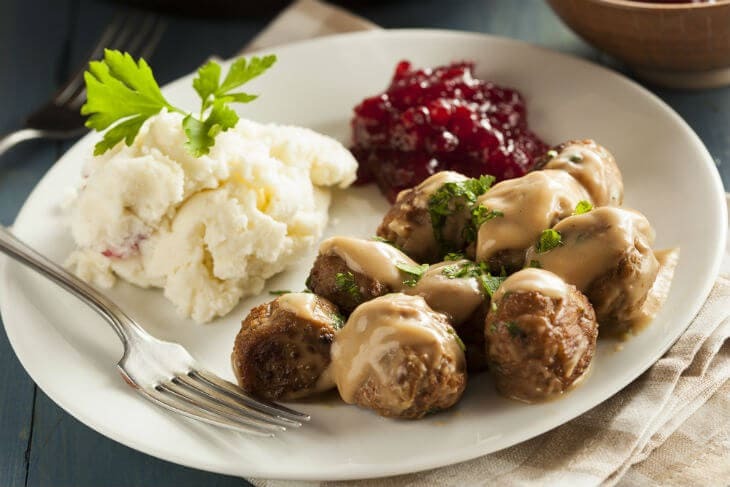 As said earlier, to try the Swedish cuisine is one of the top things to do in Sweden, but even better is perhaps to join our famous “Julbord” translated into English it would be Christmas table, but what it really means is that you gather family or friends or co-workers and feast on Christmas food and liquor. 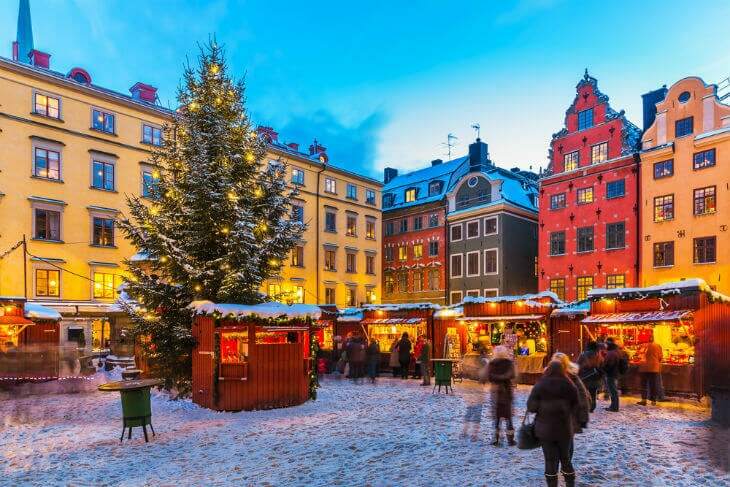 Every winter you attend many “julbord” if you’re a Swede, so to experience some real Swedish culture, you shouldn’t miss out on this if you visit Sweden during winter. Have you ever made a snow angel? If you come from a country where there is snow, you might have, but otherwise, you totally should go and make a snow angel while visiting Sweden during winter! Ever heard of a Sauna? It’s a wooden room that gets heated up. According to tradition, you’re supposed to skinny dip in the snow or do as the Finns, and take a bath in ice cold water before you enter the sauna. 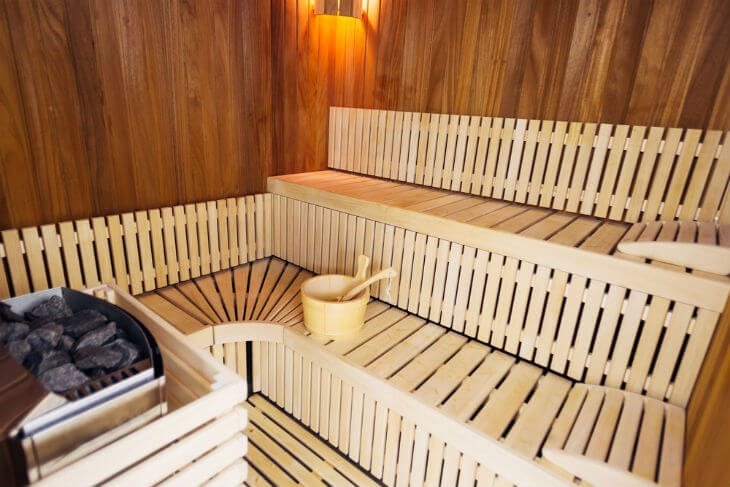 Whatever you prefer, a real Swedish/Finnish sauna is a lovely experience, that’s also really healthy for your body. 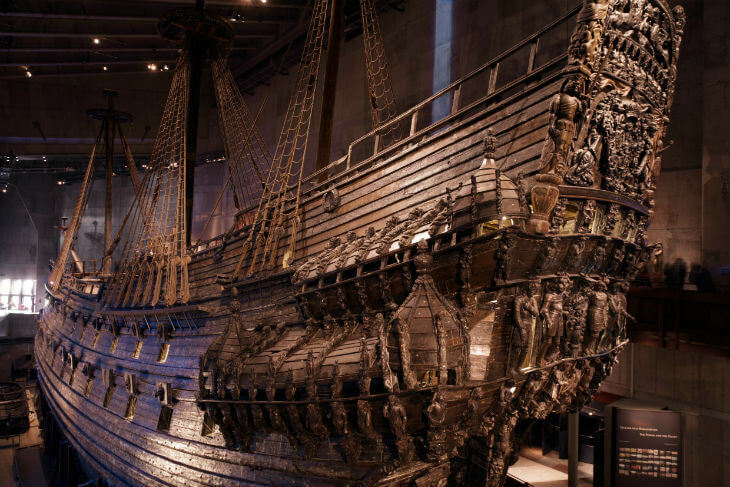 At the Vasa Museum, you can find one of the most well-preserved ships from the 1600’s. The Vasa ship is remarkable and shouldn’t be missed if you’re going to Stockholm. This castle is located outside Stockholm in Ekerö, and it’s currently the residence of the Swedish King and Queen along with the Royal family. A popular tourist attraction in Sweden! It is said that Sigtuna is the first city in Sweden, founded in 980 A.D, and it’s well-preserved and a famous tourist attraction where you can see some traditional Swedish architecture. You can also see some rune stones and ruins. If you have some days in Stockholm, you should consider going on a day trip here as it’s only about 45 minutes away! Go for a boat ride at the Göta Canal, and experience what is called the greatest feat of engineering in Sweden. The Canal goes all the way from Gothenburg to Stockholm and is one of the most famous tourist attractions. 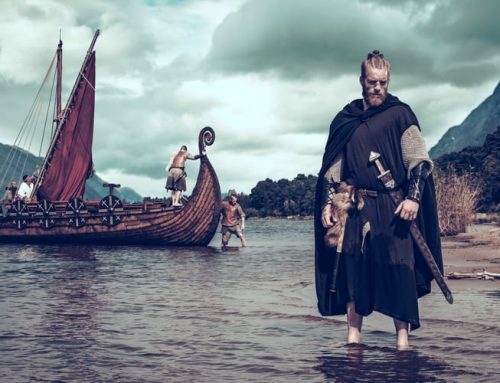 Interested in the Swedish Viking heritage? Then you should head to Birka, which was the biggest commercial area in the Viking area. You can easily get here by boat, and if you fancy a more traditional ride, you can opt for a replica of the old Viking boats. In Birka they also display what the daily life looked like during the Viking era. The twisted skyscraper has become one of the most famous tourist attractions and buildings in Sweden. With its unique architecture, it’s definitely a masterpiece that shouldn’t be missed if you visit Malmö. A classic tourist attraction in Sweden and one of the top things to do in Stockholm is to stroll around the Old Town. With its rich history from the Stockholm Bloodbath and small alleys filled with art galleries, cafés, and some beautiful houses, the Old Town in Stockholm is something you should write down on your list of things to do in Sweden! One of Sweden’s most beautiful churches and a must visit if you like churches and see yourself being in the Southern part of Sweden. 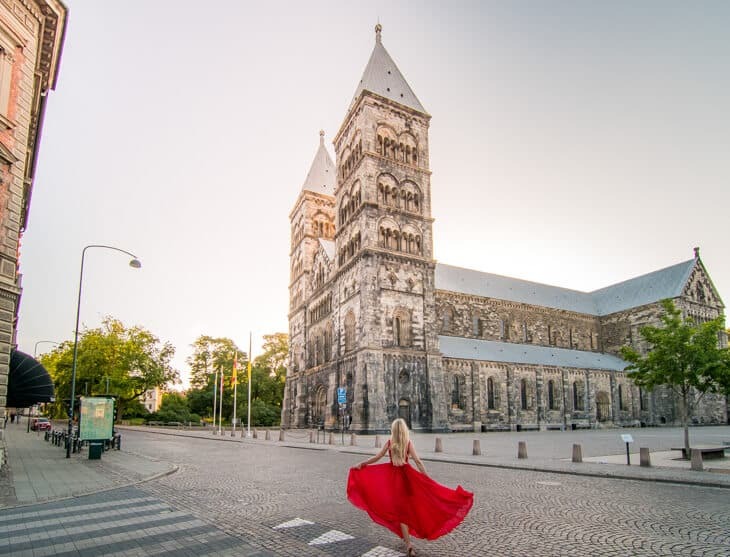 Lund is a “small” picturesque student town that lies between Helsingborg and Malmö. A market hall in Gothenburg, where you can enjoy the fresh delicacies from the sea. Fancy some medieval history? 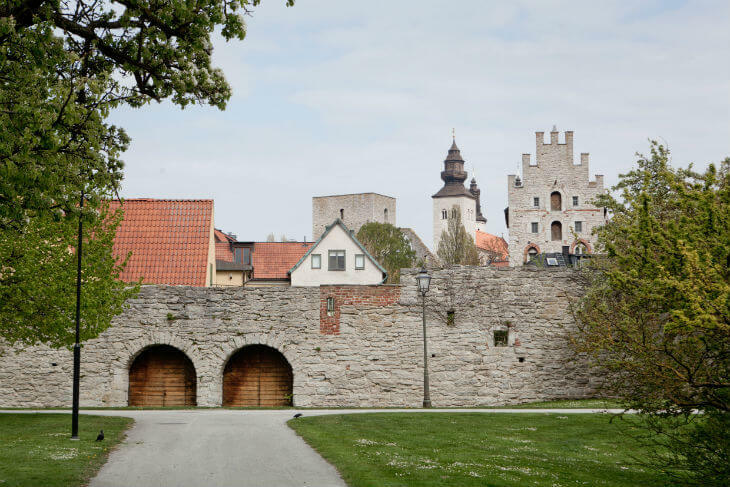 The city wall of Visby is still standing and is one of Sweden’s most famous tourist attractions. It stretches all around Visby, which is a beautiful summer destination filled with life and movement. Below are some of my favorite places to visit in Sweden. The last free wilderness of Europe. A precious natural area filled with forests and wildlife, and not so many humans. Perfect for hiking, dog sledding, snowmobiling and of course the most delicious fresh water source (yes you can drink it straight from the fjords). 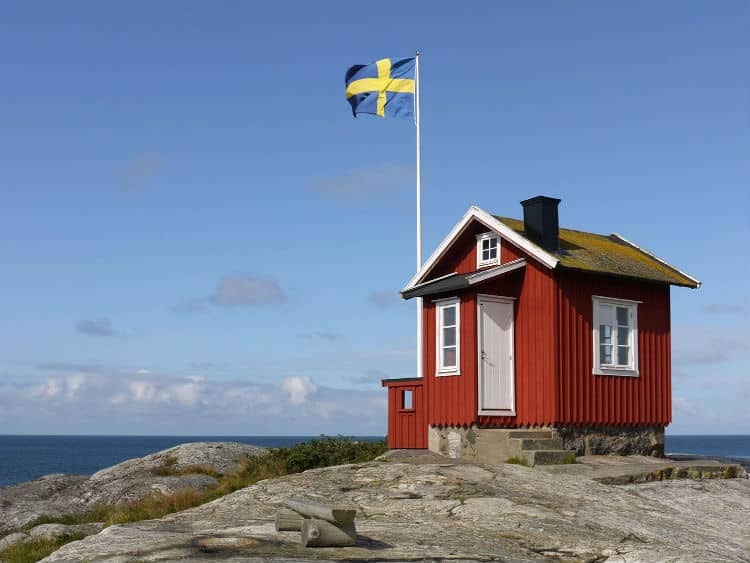 Perhaps one of the most popular things to do in Sweden is to visit the Stockholm archipelago. Islands and islets in abundance right outside the capital Stockholm. In summer many Swedes go here to enjoy bathing and relaxing in their summerhouses. A boat ride through the archipelago is definitely one of the top things to do in Sweden as a tourist! If you’ve already been to the Stockholm Archipelago, I urge you to explore the Gothenburg Archipelago, which is at least as beautiful as the archipelago in Stockholm. Hundreds of small islands and islets are waiting to be explored! 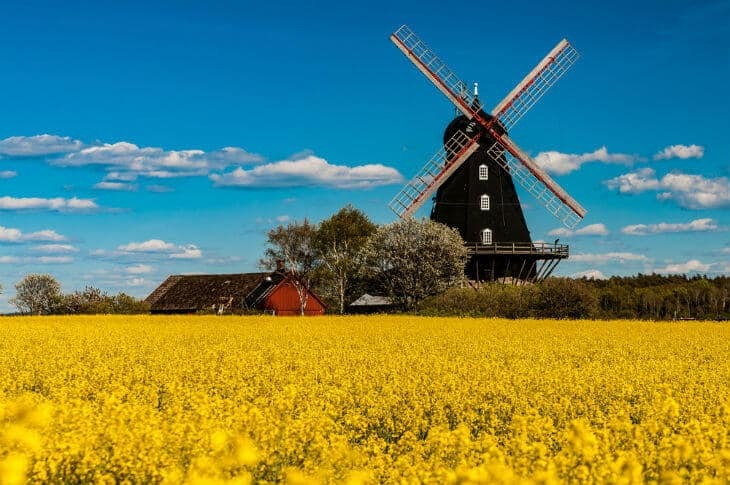 My beautiful home-region in Sweden filled with endless fields of canola and vegetation. Hills and lonely trees, beautiful houses and beaches and of course our unique accent of the Swedish language. 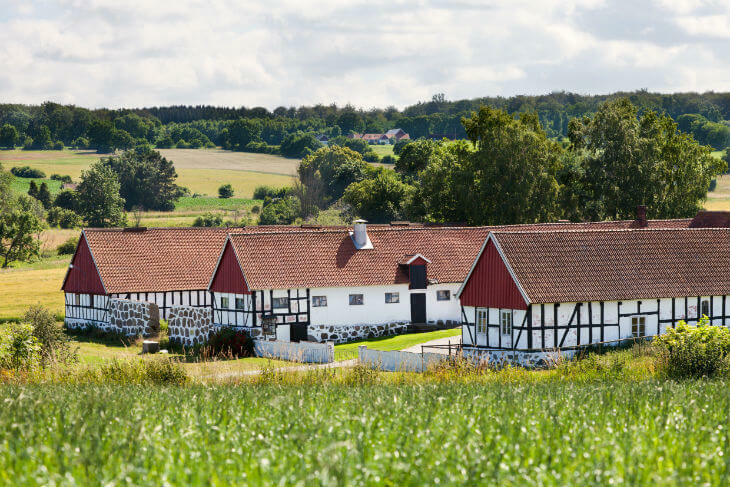 Some would even claim that Skåne is the most charming region to visit in Sweden, especially during summer when everything is brought back to life after the winter. Have you ever stayed at an Ice Hotel? Well, in Jukkasjärvi you can. The whole hotel is made up of Ice, and this is really one of the coolest places to visit in Sweden! But book your stay well ahead, because it is indeed popular among tourists. The medieval Mecca and summer destination Gotland offers beautiful nature, heritage, and history as well as great parties during summer. Gotland is a great place to enjoy the Swedish summer. One of the most underrated places in Sweden. Kullaberg is a beautiful area outside the city of Helsingborg. Pristine beaches, hiking trails and scenic views and a relaxing environment makes it a great destination for relaxing and just enjoying the beauty of Swedish summer. 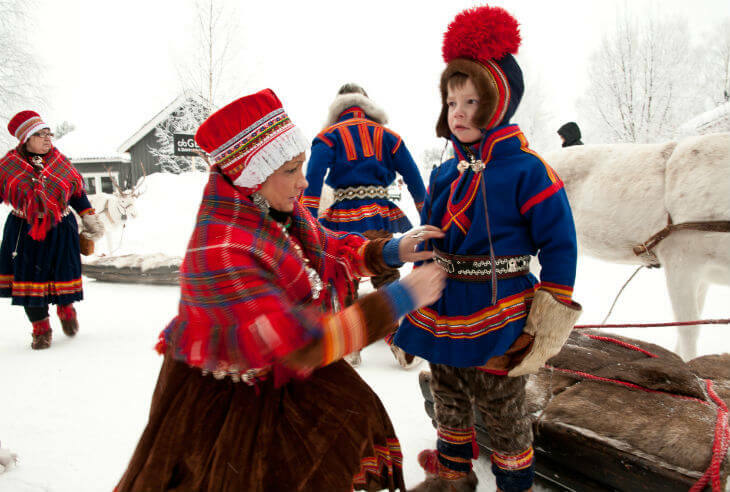 Did you know that the Sami people have been living in Sweden for centuries? and they still up to this date have their own language and culture. 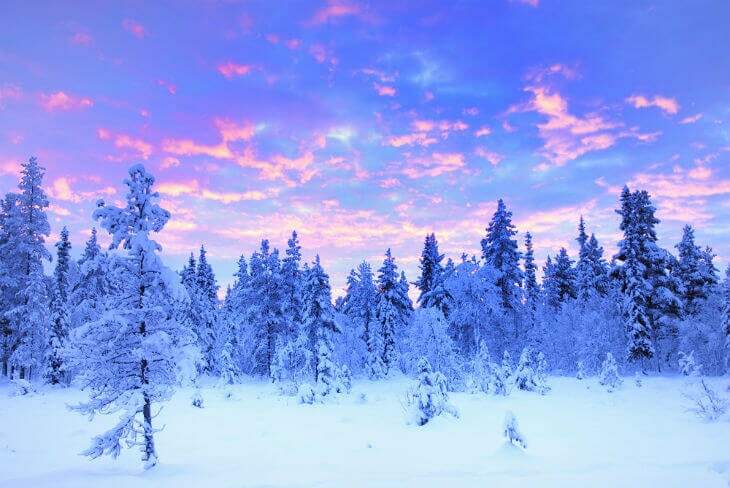 The best region for visiting a Sami village is in Lapland. If you want to experience the beauty and serenity of Southern Swedish nature, Harasjömåla is a great place to visit. Here you can enjoy lots of outdoor activities, even though the salmon fishing is the most popular thing to do here. The jumping rainbow-salmons are in abundance here at the lakes around Harasjömåla in the region of Blekinge. There are no vehicles allowed on the Koster islands, which is also the first marine national park in Sweden. 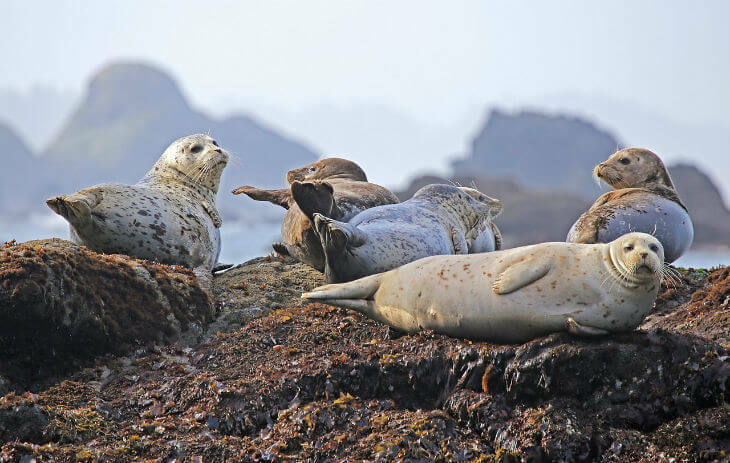 Here you can go kayaking, bicycling and seal safari, just to mention a few activities. Each summer Marstrand is being visited by celebrities and royals, and once you’ve been there it shouldn’t come as a surprise. It’s a lovely place to visit where you can enjoy colorful wooden houses, sailing boats, guest harbor, gourmet food and much more. Considered by many as the best vacation spot in Sweden, and even though I personally think there are better ways to spend your holidays in Sweden, I can’t really argue that Österlen is truly beautiful. Österlen is the area that makes up the eastern part of Region Skåne. The landscapes are gorgeous and the quaint little towns are equally wonderful to stay in. During summer many locals from Stockholm travel here where they have summer houses. It’s also a popular spot for campers and campervans. Regarded as the cultural capital of Sweden, Uppsala is a great place to visit in Sweden, especially during summer. Nowadays it’s a lively student town, but you can still experience some old cafés and buildings in the old town. Along the northern coast of the Baltic Sea, you can visit the UNESCO-world heritage site Gammelstad. It’s a historic church town, and even though there are other towns that are similar this is one of the most well-preserved ones. Here stand around 420 wooden cottages that surround the 15th century stone church. Perhaps best known for its beautiful castle, but it’s actually a lovely city with some amazing architecture. The Castle is, however, magnificent and shouldn’t be missed if you like to visit castles! There are actually a lot more than 55 things to do in Sweden, even though we are a relatively small country, however, these are some of the most popular and nice activities. If you’re from Sweden or have traveled around, and have some more tips on things to do in Sweden, please share your tips in the comment section! If you want to have some more tips on a specific region or other things to do in Sweden, don’t hesitate, leave a comment below and I will give you some nice insider tips! Thanks for the leads! I will be in the Ljusne, Söderhamn Municipality in about a week. We will be attending several hockey games, any other suggestions near that area? Restaurants suggestions? My mother, sister and I are traveling to Sweden in May (17th-25th). We are trying to decide where to spend our time. We’ll start in Stockholm. We don’t know whether to spend all our time there or split the time going elsewhere (Uppsala maybe?). My mother’s father was from Varmland but I think that might be hard to get to. We’re interested in some Viking history, seeing Old Town but not sure what else would be a “must see”. Any input would be much appreciated, thank you! That’s a great period to travel to Sweden. Uppsala can be made as a daytrip from Stockholm, there are trains leaving every hour at least. For Värmland, it’s not that hard to get to, there are trains to Karlstad. But I would suggest a rental car if you want to explore more. Trains are quite efficient, but as you’ve limited time you’ll benefit from a rental car. As for Viking history, there are several sites. One particular that’s close to Stockholm is Birka, which is just a boat ride (where you can actually sail in a reconstructed viking ship). We are two California gals making our first trip to Sweden in early May. We love hiking and spending time outdoors. 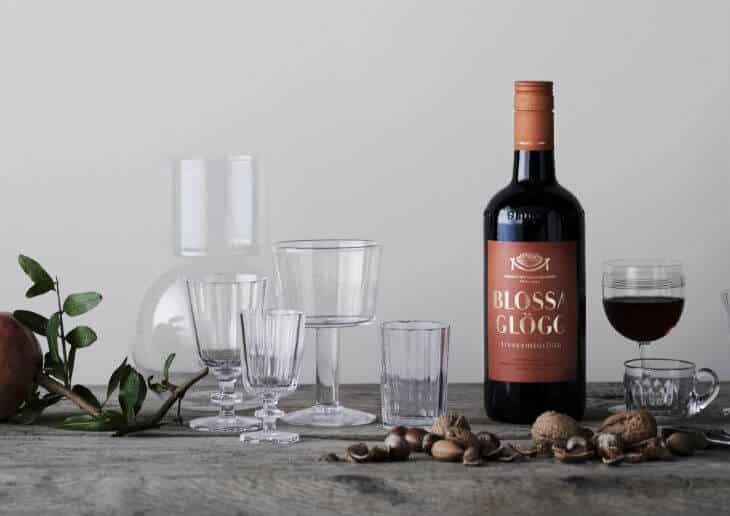 We also love Swedish glass, art and textiles. Are they any places you can suggest for that? Are plans are to head south towards Copenhagen and would love any ideas for must see places on our journey there. We land in Stockholm and have about 5 days to explore Sweden. Thanks for any help. Hello Donna, I have written a post about Stockholm and Copenhagen with things to do :) Check those out! But other than that you could visit a glass factory or some of the outlet areas where they have all the Swedish glass brands. I think there is one in Stockholm somewhere. As for the art, you have several art galleries in old town and there are also some museums and exhibitions in Stockholm. Depending on what you want to see there is a bunch of things you can do in Sweden, but I would suggest sticking around the Stockholm area if you have 5 days as there is plenty to see, and you can also visit some castles and the archipelago. Stockholm is very much alive in Spring, and May is a great time to visit! My mom and sisters will be visiting us in a week. 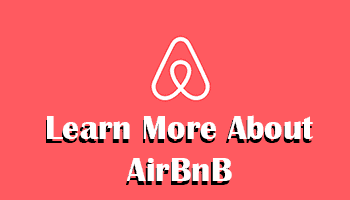 We live in Gothenburg, know where to take them in the city, but have no idea what places to go near by, that are approachable by public transport/train. Any ideas? I marked the things you mentioned close to us, that are in this article. My mom loves beautiful quaint places. 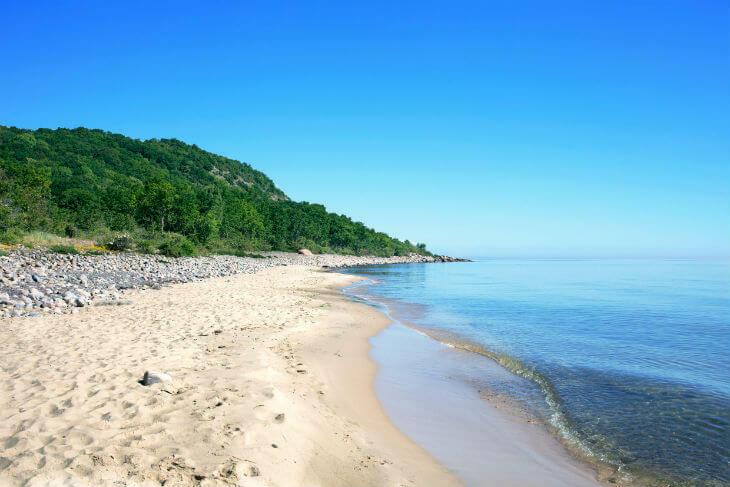 Hikes, nice views, old towns, historical sites and nice beaches. Thank you for all the information. Would I be barking mad to visit in February or the first part of March? I’m not afraid of some cold, but I would like to be able to go walking or hiking for a good number of hours per day — without wearing piles and piles of clothing. Thanks! Hiking is out of season during that period, so if that’s your main reason for visiting, I would suggest going a little later, perhaps in May. It also depends which area you intend to hike. If you’re walking the “Skåneleden” in the South, then you’re most likely fine during that period, even though it would be more enjoyable during spring and summer. I am bringing my family to Sweden in late March. I am interested in the IceHotel. Have you been there? Is it worth going? Hello Jared, yes totally worth it :) But also depends on what you want to do. There will still be chances of seeing the Northern lights. I was born in Pitea and spent a lot of my life in Lovikka, Kiruna but I am bringing my daughter, husband and son 11 yrs old who are active but also want to see the country! Jukkasarvi has a ice hotel and they and me too want to see that..there is so much I want to show them, but I have so many cousins in the north who want to see us too..just don’t want to spend the time just with family..how about the train to Narvik to see the Norway coast.. just wish we had more than 2 weeks to see it all..we will either train it or rent a car in the south ..any suggestions ? Love your blog with so many suggestions..coming in July-August so nice weather for Pitea Havsbad, etc!!.. Hello Anita, July and August will be amazing! in regards to the Icehotel, it would probably be wise to reach out to them already now and check availability. I haven’t been there during summer, so their Ice suites may have a lower capacity, but I’m not sure. I think you should definitely go with the train to Narvik, but if you’re comfortable renting a car, it will be smoother to get around. Public transport is not the best up in the north outside the cities, so the rental car will give you a better experience I think. Especially since you’re on limited time in Sweden, and have some other family stuff already planned.